A SEARCH FOR THE TRUTH. A white room. Bright walls. No doors. No windows. No escape. Manuel awakes without memories. He does not know who he is or how he got here. His only contact is a computer generated voice called Alice through which he is able to access the internet. Piece by piece, Manuel finds out what happened to him and discovers something unbelievable: his body lies heavily injured in a hospital. His consciousness can only be held alive with the aid of computer technology. But is this man, who claims to be Manuel’s father, telling the truth? What is real? And who is “the real” Manuel? A gripping thriller where nothing turns out like it first seems. 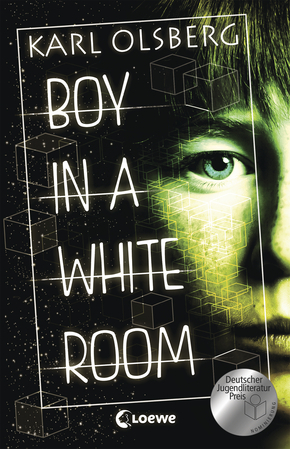 The novel plays with the dangers of virtual worlds and artificial intelligence. It raises fundamental philosophical questions on reality and identity.